This style creates a super natural-looking appearance. The locks are styled with waves and curls to provide you one of the best looks for any season of the year. The sides are given a flattery look with the help of side bangs. 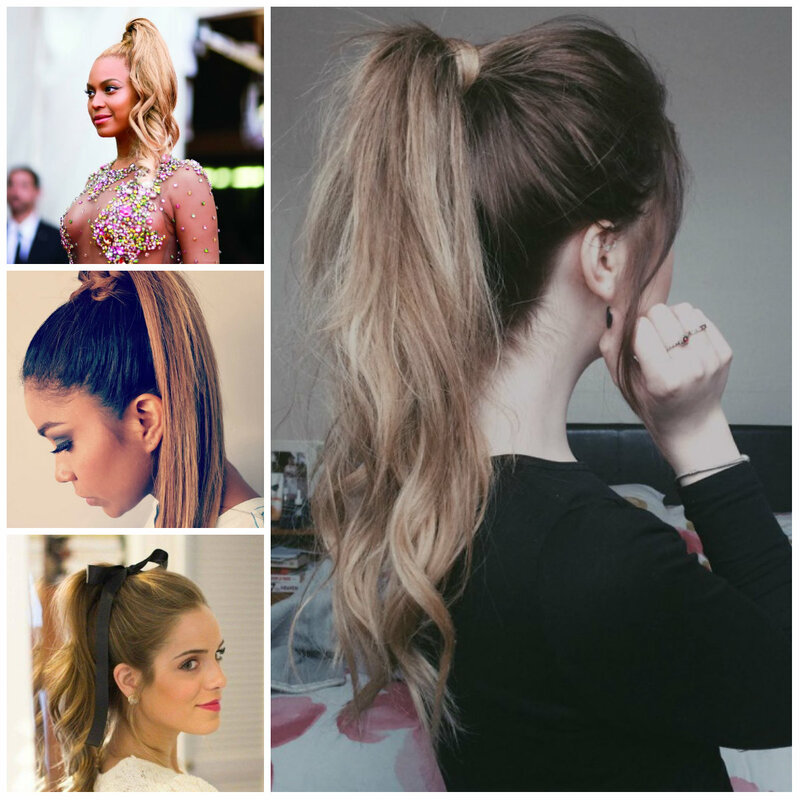 The rest of tresses is pulled back and clipped to form a ponytail. 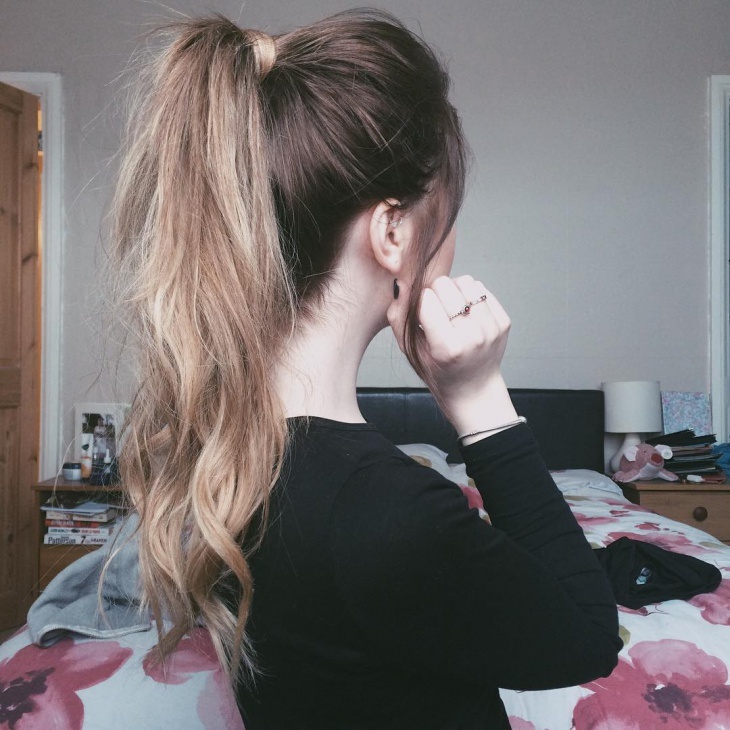 This funky ponytail looks so adorable with dark tone.